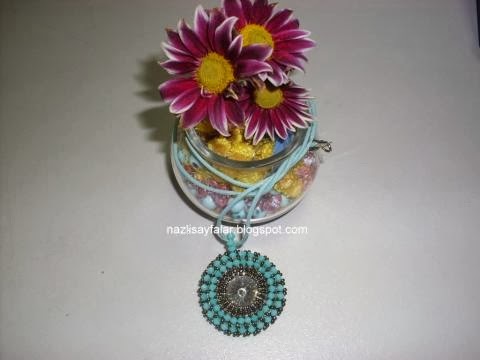 Necklace, turquoise crystal pendant Handmade with Swarovski crystal Turquoise crystal used. A necklace that can be used all the time. 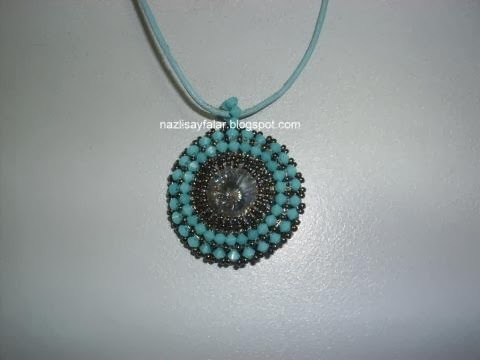 Gorgeous, eye-catching jewelry. A unique gift. Size: 4 cm.